The city of Pleasanton, CA takes Memorial Day seriously. This city, rich in history recognizes the men and women in our armed forces who died or risked their lives to ensure our freedom. No matter where you go in Pleasanton, you will see the patriotism of the citizens. Whether you enjoy organized events, or hold a barbecue from your Pleasanton CA apartment, you will feel the spirit of the holiday in this beautiful city. Memorial Day has been a day of honor for our veterans since the Civil War. In true Pleasanton fashion, the 2017 celebrations promise to be impressive. The festivities will begin with a Memorial Day ceremony at the Pleasanton Senior Center. The center is located at 5353 Sunol Blvd. The event begins at 11 a.m. on Monday, May 30, 2017. The Pleasanton Community Band will perform a variety of patriotic music, under the direction of Bob Williams. While this tour is not specifically being performed for Memorial Day, it is the perfect opportunity and timing to witness a spectacular showing of world-class, vintage planes that were the backbone of the American efforts during the war between 1942 and 1945. There are few of these planes still in existence and many of the crews that flew them and maintained them are no longer with us. The shows begin on May 19th and run through May 27th at Moffett Airfield. The performance will be at base operations, under the control tower. This annual event will take place on May 27 and May 28th at the Pleasanton Sports Park. This is a stay to play event. Out of town players must book hotel reservations. Local players must provide the address of their house or Pleasanton CA apartment. For times, and other rules and regulations please visit the BUSC website. Of course, Memorial Day is also known for sales and bargains. You will enjoy a visit to the famous Stoneridge Shopping Center in Pleasanton. This upscale shopping center is home to many of the great retail stores in the area. Watch for Memorial Day specials like Military appreciation week by Samuel Jewelers. The special includes a 20% discount on select items in stock. Residents of Pleasantville love this shopping mecca. The luxurious but laid back atmosphere fits right in with the culture of the city. Pleasanton CA apartments are comfortable and yet they offer all the amenities you would expect from this city. Stoneridge often has events to benefit the less fortunate, the local animal shelter, and much more. This is the place to shop if you live in Pleasanton. They also feature some really great restaurants and incredible food that is anything but mall food. Stoneridge cares about the city, the residents, and the veterans that they are honoring. No Memorial Day is complete without honoring the fallen soldiers that are interred in our National Cemeteries across the land. Pleasanton Memorial Gardens Cemetery is located on Sunol Road is the final resting place for 538 American veterans. There are several other cemeteries in the area. Some date back to the 1800’s. 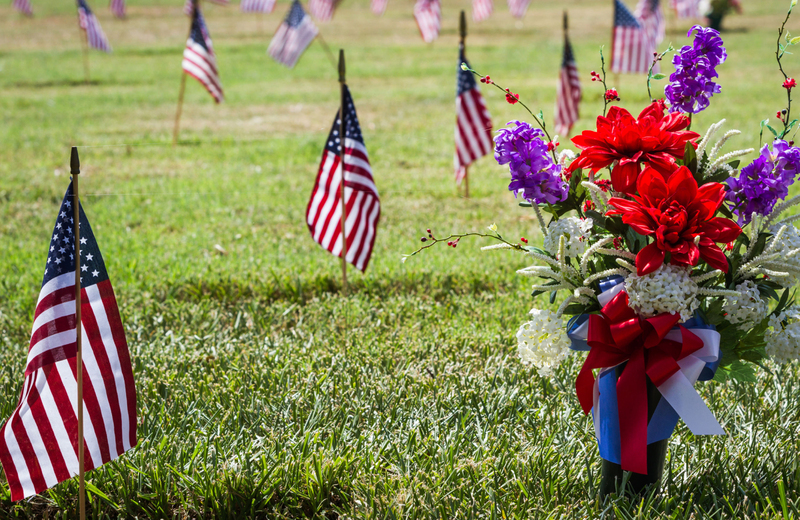 Most cemeteries honor their veterans on Memorial Day and welcome visitors. As you can see, this is a strong and tight-knit community that cares. People who live here, appreciate the history of the area and hold tight to the morals and values that are the backbone of the community. People on Pleasanton care about their neighbors and the nation. Pleasanton is an upscale city, where the crime rate is low and the residents live a good life. While the people here may eventually buy homes when the market is right, but more young people and families are opting to take advantage of the luxury apartment trend that is popular among executives. By living in an apartment, you can have all the amenities like a state of the art fitness room, a pet spa, a beautiful view from your patio or balcony, a private garage, an expansive clubhouse, and much more. Whether you want to gather with friends around your grille or play with your children at one of the many “pocket parks” you will feel right at home. The best part is you can live in luxury with none of the work that goes into maintaining it. While you deserve to live in a home with a beautifully manicured lawn, your time is too valuable to spend your weekends doing that manual labor. Pleasanton apartment dwellers do not have to. Pleasanton Unified School District takes education seriously. Educators work closely with parents to ensure children are given all the tools they need to succeed. They have an award-winning Special Education system as well. The city is rich in history, It dates back to the early 1800’s and the residents preserve that history well. There are museums in the area and there are exhibits, theater, and musical concerts performed often. During the summer months, the city puts on a free concert every Friday night. Hundreds of people will gather with their blankets and lawn chairs to enjoy the variety of bands that are scheduled for the event. Pleasanton is the kind of place where the American dream is alive and well. This is the kind of place where you can always feel at home and the community is one.